Reiki (pro nounced Ray Key) is a combination of two Japanese words rei and ki, meaning “universal life energy.” It is a Japanese technique for stress reduction and relaxation that also promotes healing by balancing subtle energies within the body. 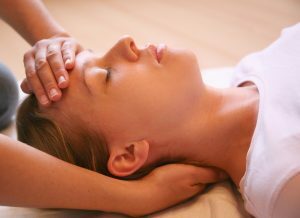 During a reiki session, a client is asked to lay on a massage or reiki table, staying fully-clothed. The reiki practitioner will apply light touch to various parts of the body including, but not limited to, the head, neck, shoulders, upper chest, and feet. The client can expect to feel a deep sense of relaxation during their reiki session. Each session lasts approximately one hour.